Are you looking for sports socks with high wearing comfort? 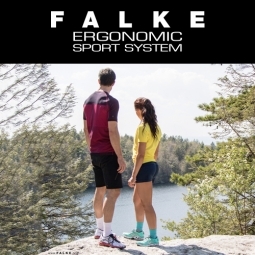 Then explore the great range of functional sports fashion and sportswear by FALKE. Having worked as a knitter in the cold winter months, roofer Franz Falke-Rohen founds his own knitting mill. His eldest son Franz Jnr., a trained umbrella maker, takes over the management of the small knitting mill and guides it successfully through the turmoil of the First World War. Franz Falke-Rohen and his son purchase “Woll- und Haargarnspinnerei Carl Meisenburg“, a wool and hair yarn spinning mill based in Schmallenberg, now known as FALKE Garne (FALKE yarns), thereby laying the foundation for the development of today’s FALKE Group. A new factory is built in Schmallenberg, equipped with new sock manufacturing machines and the first telephone system. This same location still functions as the company’s headquarters today. Franz Falke Senior’s handicraft business established in 1895 has turned into a successful industrial enterprise with approximately 800 employees. Franz Falke Senior dies, leaving behind a considerable lifetime achievement. Acquisition of “Strickwarenfabrik Salomon Stern”, a knitwear company founded in 1810 in Schmallenberg, where Franz Falke-Rohen had formerly worked as a knitter. Today, “Salomon Stern” operates under the name FALKE Fashion. The “FALKE” trademark is designed in 1946 and used for the first time in the legwear segment. In 1950, the word and design mark is registered as a trademark. Sons Paul and Franz-Otto Falke take over the business after the death of their father Franz Falke Jnr. Their main aims include strategic brand marketing for all product ranges and the expansion of the export trade. In the ensuing decades, sales offices and production plants are established in Europe and abroad. Acquisition of the fine hosiery manufactory Uhli, founded in 1948. Uhli knitted the first nylon stockings and manufactured the first tights on a cotton machine. Falke thereby exploited the fine hosiery market in addition to the knitted socks market. 1960s/1970s - FALKE women’s knitwear. FALKE continues to establish a very good reputation in legwear as well as in women’s knitwear. In 1985, however, the women’s range is discontinued in order to concentrate more fully on menswear. In parallel to the concentration of production at the parent plants in Schmallenberg and Lippstadt, international FALKE production companies begin to be established in South Africa, Portugal, Austria and Hungary. The Managing Partners Paul and Franz-Otto Falke receive the German Marketing Award. FALKE enters into several license agreements and works together with international designers, such as Armani (jersey collection up until 1984). As a licensed partner of Boss, Kenzo and JOOP!, FALKE develops, produces and distributes knitted legwear and fine hosiery, as well as knitwear lines to some extent. Paul Falke Snr. dies at the age of seventy. The two cousins Franz-Peter Falke and Paul Falke take over the management of the FALKE Group. FALKE Garne receives the German environmental protection award in the category “Environmentally-friendly Products” from BDI (Federation of the German Industry). The prize is awarded for the development of “Clima Wool”, an insulating material made of sheep’s wool. Takeover of Leinefelder Textilwerke GmbH (LTW), based in Leinefelde/Thuringia, on 1 July 1997. With this addition to the FALKE Group, the company not only ensures its own supply with top quality specialised yarns, but also strengthens LTW’s position as an expert in the development of specialised, innovative yarns for the textile and clothing industry. Shop-in-shop systems are established in many countries in collaboration with the retail industry. Moreover, FALKE opens its own flagship stores at top locations in the fashion capitals Berlin and Vienna. The FALKE hosiery manufactory in Lippstadt and Franz Falke-Rohen socks factory are merged under the FALKE KG umbrella brand and from then on operate as one clothing enterprise. FALKE successfully enters the sportswear market as a full-range supplier of functional sportswear. 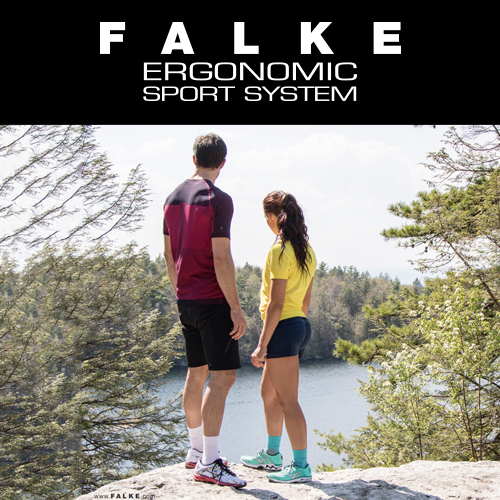 As a supplement to the existing range of sports socks, basics and second layers, FALKE Ergonomic Sport System offers a comprehensive and complementary product portfolio. As the only textile company, FALKE receives this award for its highly innovative Sports Pullover for Active Sports on behalf of the Federal Ministry of Economics. With effect from 1 April, the FALKE Group purchases the Burlington brand. With this strategic decision, FALKE acquires the right to manufacture and distribute clothing, leather goods and jewellery in the most important global markets. Burlington will remain as an independent brand within the FALKE Group. In Ascona (Switzerland), the FALKE Group opens a further top location flagship store that represents the company’s brand identity. The new factory in Lesikovac starts production of knitted legwear and fine hosiery for the global fashion market.